We open with Mi Soo coming to slap Kyung Soo for hurting her family four years ago. Was he really the one who helped Oh Tae San destroy her family? Mi Soo doesn’t let him talk and tells him about how hard life was. Her mother died from the shock, her father became a crock overnight, she had to worry about where to get the money for her brother’s treatments and had to walk on eggshells in her own house. Does he have any idea what that factory meant to her parents? How hard they worked to keep it? Does he even know what its like? To an orphan like her, she treasured her family. Kyung Soo apologizes and Mi Soo asks why he didn’t tell her from the beginning who he really was. Did he think she’d be pleased by this one good deed after he destroyed her family? Poor Kyung Soo tries to tell her it isn’t like that, but she’s too angry to listen (can’t say I blame her—it’s quite a blow to learn the man you trusted to help you was the same man who damned you earlier). Mi Soo says she will never forgive him for what he did. She goes to leave, but Kyung Soo stops her. He asks her to believe him as that really wasn’t his intentions and he had wanted to tell her. Can she please talk to him and hear him out? No, he has nothing to say that she wishes t hear. She also vows she will pay him his lawyer fee…every single penny of it as she wishes to owe him nothing. Awww. Poor Kyung Soo. But…this was a disaster he helped create, so…he really has nothing to say to defend himself. Although…would Mi Soo soften if she knew his own situation? Min Jae calls up Ko to ask about Chung. Ko says that Chung’s plans changed and he went back to the US earlier than planned. Min Jae then recalls the scene he witnessed and what Na Young insisted was the truth. Min Jae looks at her record again and puts in a call to Green Consulting company to see if Na Young really graduated from a US university. Na Young passes by and overhears Min Jae asking for a transcript and a picture to prove she really did graduate from a university. 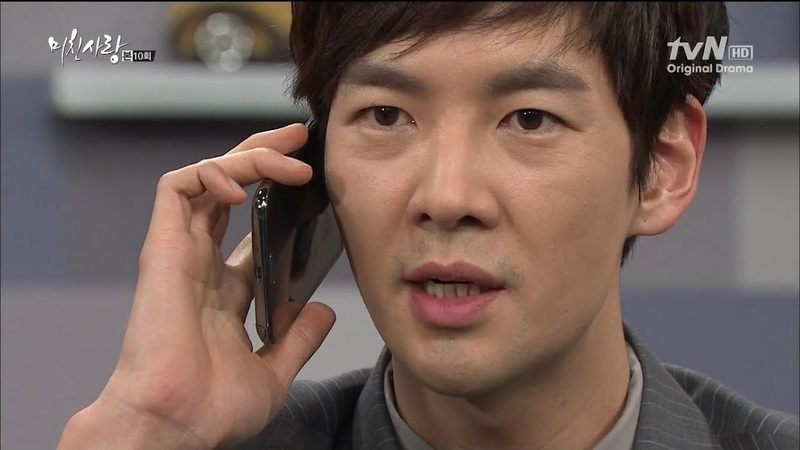 She enters the office and Min Jae quickly hangs up his phone. She asks him out for dinner after delivering the documents, but he sends her packing. Nice. Meanwhile, Kyung Soo is having a hard time concentrating on his work thanks to his confrontation with Mi Soo. It’s eating him up inside. He takes out his phone…to call her? Mi Soo is at home cleaning up when her phone rings. Seeing it is Kyung Soo, she ignores the call and continues to work. She then goes to Hae Ram’s room and reads her a letter from the orphanage. The two then go outside to play with bubbles. This makes Mi Soo recall the past. She and Sun Hee ran around playing happily with bubbles at the orphanage. 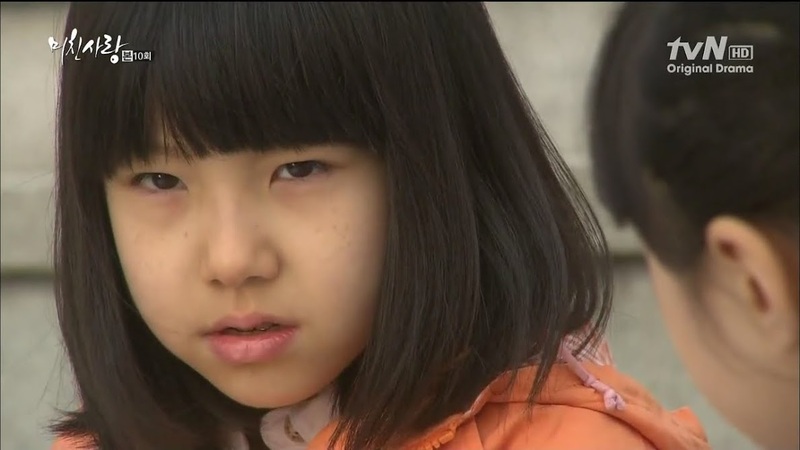 Later Sun Hee vowed she would be adopted by a rich family with a car and a piano. Mi Soo then recalls the headmistress telling her that Sun Hee was sent to a family who owned a restaurant after she left the orphanage and lived a hard life. Mi Soo the thinks she hopes she can run into Sun Hee again and see how she is doing after the adoption. Omo. What will happen when she learns the truth about Na Young’s identity? 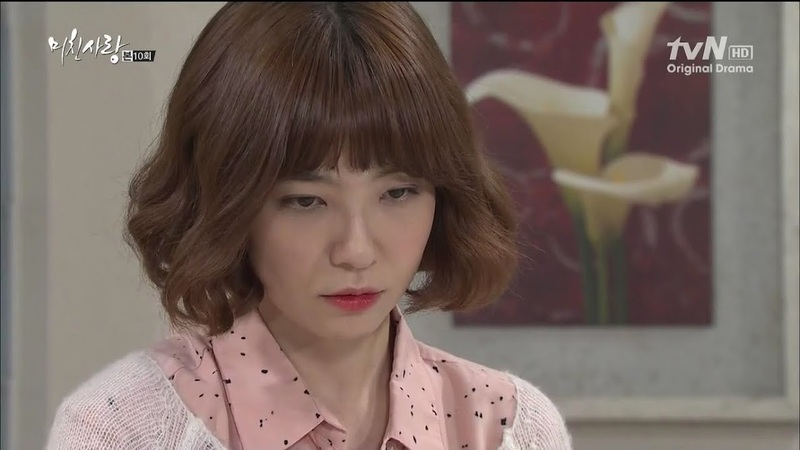 Our villainess dares Min Jae to continue his background check as he will never unearth her past. She then puts in a call saying she may need help about her university credentials again. Kyung Soo goes home where he recalls Mi Soo’s words, Yoon’s words, and Baek’s words. He’s suffering a lot right now. He goes inside the house to find a bouncy Hae Ryung. She scolds him for getting their only now when he said earlier he was close by. She then tells him the happy news that the fertility clinic called and said they both got a clean bill. Kyung Soo forces a smile and says he told her she shouldn’t have worried. Hae Ryung then promises to take good care of herself to ensure her pregnancy. Mrs. Go comes out and asks him to join her. Mrs. Go bought medicine to help the two get pregnant as quickly as possible. Kyung Soo says she didn’t have to go through the trouble, but thanks her and drinks it. Yoon stares at the money and calls Mi Soo. He asks about the divorce and Mi Soo asks if Myung Ja called him again. No, it’s not that. But…does Mi Soo feel she might wish to get a divorce? No, no, that came out wrong, forget it. He hangs up on his confused daughter and says he should just die. Because of money he told his daughter to get a divorce. Chan Ki then comes in and Yoon tries to hide the money from his son unsuccessfully. Chan Ki is shocked to see so much money. Mi Soo then comes over and asks why he didn’t tell her earlier. Yoon said he had meant to, but couldn’t bring himself to do it. He was going to give Mi Soo the money to return to Myung Ja. Jong Hee tells him to be honest—if he hadn’t been caught, he would have just gambled the money away like last time. Yoon insists that isn’t the case and he only took the money because the man said it was for drinking so he didn’t think so much would be inside. Jong Hee denounces Myung Ja as the most evil of evil in-laws ever. Chan Ki then bursts in and says the person who accepted the money is even worse. Yoon replies he thinks he’s going senile and apologizes to his daughter. Mi Soo collects the money unhappily. She takes it back to the Lee house where Min Jae scolds his mother for doing something so heinous. Why? It was to achieve what she wanted. Why is Mi Soo bringing it back? Did her father change his mind after already accepting the money? Is 50 million not enough? No, Yoon probably wants enough to last 100 years. Myung Ja then picks up the money and throws it at Mi Soo. This girl so does not deserve this humiliation…or…rather she does in that she keeps coming back and putting up with it. I get it. She doesn’t want her home destroyed…but look at it…it’s already flushed down the toilet. Myung Ja says Yoon has to settle for the 50 million as she won’t give him a penny more. Fine. Min Jae will put the money to good use. Say what? Well…didn’t Myung Ja think the money was already spent? He and Mi Soo can buy a condo and hire a maid with this money. Mi Soo won’t have to do the housework herself any more. Myung Ja is livid. Fine. Min Jae can take his name from the family register and she will donate CK to charity. See how he likes living in poverty. Min Jae stands. Call. She can do what she wants. That money she gave Mi Soo’s father will be enough for him, Mi Soo and Hae Ram to live comfortably for the rest of their lives. Definitely not what Myung Ja expected from her son. Should he and his wife look at condos tomorrow? Min Jae goes into the room telling Mi Soo to come with him. The angry Myung Ja throws a pillow at Mi Soo and blames her for coming in between her and her son. Mi Soo goes into their bedroom and scolds Min Jae for doing that. But if he doesn’t take it this far, will his mother listen and give in finally? Should they really just get a condo and move out? They can visit his mother once a week. Mi Soo says that won’t solve the problem but make it worse. But at least she’ll be comfortable away from his mother. Mi Soo tells him to quickly make up with Myung Ja as he is her precious only son. It would kill Mi Soo if her only child did the same to her. Min Jae reluctantly agrees to this after complaining about how tiresome it is. Na Young stops by Baek’s apartment. What’s up? She has a thank you present. Baek opens the box and inside is a nice shirt and tie. What is this? He needs to wear it someplace. Nice. Baek throws the box down and says he didn’t ask for such things. Na Young scolds him for not being gracious and accepting the present. She goes to his bathroom and her phone rings. Baek sees it is from Na Mu Consulting and answers it. They are telling Na Young where she can fax the information to for her documents. She comes back out and gets the take out she brought when Baek demands to know what she’s doing. What does he mean? Na Mu Consulting is a place well known for forged documents. Na Young quickly snatches back her phone. Why did he answer it? Does she know what will happen to her fi she gets caught? That’s none of his concern. Why does she need forged documents? She needs to submit them to her workplace to prove she graduated from a university in the states. Besides, it’s not a big deal as she’s already done it once. Baek is shocked. Didn’t Na Young say she was hired as a special employment case? What a shocker. Na Young lied! Na Young replies there was no such thing as no company would hire a bar girl. So she forged her documents and nobody questioned her as she spoke English well. Why did she do that? How can she fix the situation now? This ticks her off. Why? Because her life was unfair—he knows that. Na Young ran away to the US to escape, but found a different hell. Her man cheated on her and ran away. She was all alone in a foreign place. Does he know how hard it was? If only she had been adopted into a good family when she was a child. Baek looks guilty. He goes to tell her about what happened all those years ago, but she cuts him off. They can eat later. Why doesn’t he try the shirt on now? Yep, he’s definitely feeling guilty. As this drama keeps proving—the past always comes back to either haunt you or bite you in the rear. To keep Min Jae out of his office on the day the background check info is scheduled to be faxed over, Na Young proposes Myung Ja take Min Jae out to look at the organic farms to choose which ones they should work with. Myung Ja takes this as an opportunity to spend time with her son away from Mi Soo who keeps coming between them. She invites Na Young, too, but Na Young quickly makes up a lie about having an appointment that can’t be broken. Mi Soo asks if it will be just Min Jae and his mother. Of course, he told Na Young to stay away. He’s good right? Mi Soo then tells him to have a good lunch with his mother and patch things up. Na Young is anxiously waiting in Min Jae’s office. Why isn’t the documents sent yet? 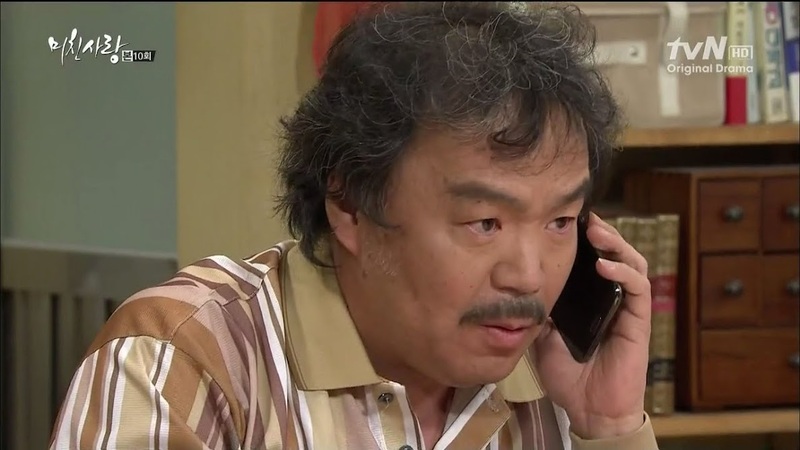 Myung Ja calls saying she and Min Jae are back and Na Young needs to head to her office. Min Jae heads off to his office to get his important fax. As Na Young goes to leave, the fax finally comes. She snatches it up and goes to leave only to run into Min Jae who wishes to know why she’s in his office when he’s not there—it’s rude. Na Young apologizes. How did it go with the organic farm? Min Jae tells her to leave and sits down, but Na Young won’t leave. She starts massaging his shoulders. He jumps away. She talks about missing him and invites him over. Min Jae says he will only get angry if she continues. Na Young then tries to kiss him and he reiterates that it’s over and he doesn’t like her. 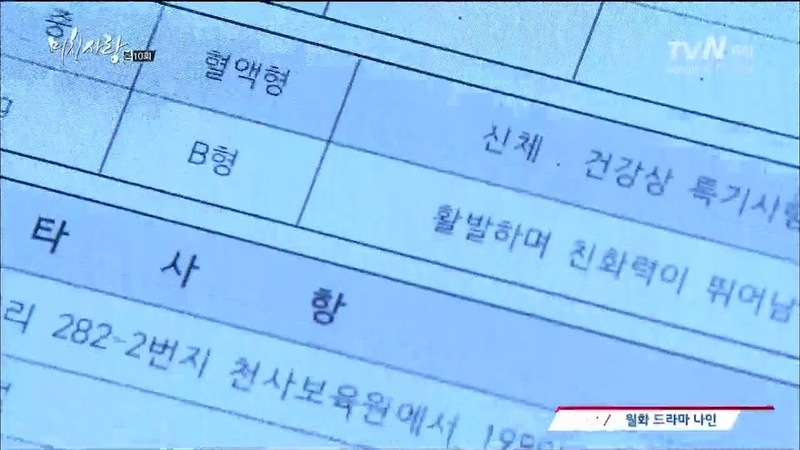 Na Young then calls up her forged documents company and has them quickly fax over the documents. Min Jae is surprised that it looks like Na Young is telling the truth. Did Robert Chung make up stories? Na Young then calls up Green Consulting who did the background check. Ma and Kyung Soo meet up so that Kyung Soo can treat him to drinks. However, Kyung Soo is doing all the drinking himself and is quite sloshed. Ma asks him what’s wrong and Kyung Soo replies he’s having a very difficult time at the moment. Why? Did Oh find out? Kyung Soo wishes Oh had so everything can be over. Ma asks him what is bothering him that much. Kyung Soo says he’s a bad guy, isn’t he? He knows the law, he preys on innocent people. Ma takes a drink and says that well, Kyung Soo isn’t a good person (notice he doesn’t call him bad, though). Kyung Soo then talks about how when he called his farmer dad out in the country to let him know about passing the bar, his father told him not to frame innocent people. But Kyung Soo has hurt and victimized a lot of innocent people. Life as a lawyer is embarrassing, frustrating, and shameful. Ma is shocked by this sudden turn in Kyung Soo. He’s never said anything like this before. Kyung Soo then admits there is a person who makes him wish to kill himself from shame. Ma asks if this person is a woman. Kyung Soo only sighs. Ma hit the nail on the head. Mi Soo goes to meet Kyung Soo who is sitting drunk in a park. He apologizes to her. He knows it’s late, but thanks her for coming out. Mi Soo says she only came because his texts were annoying. However, if she had known he was drunk, she wouldn’t have come at all. He had better say everything he wants as she will not meet him again. Kyung Soo says he’s a bad lawyer like she thinks. He teamed up with those who had money to threaten t hose who didn’t have any. It’s true, he made people suffer. Knowing that, he couldn’t do anything. That’s who he is—knowing everything but able to nothing. What can he do so that he doesn’t become worse? He tries, but nothing can keep him from hitting bottom. However, he did honestly try to help her out. Mi Soo finally looks at him. He confesses his heart was hurting. Mi Soo smiles, what a petty conscience. True, if he hadn’t done it, someone else would have. Mi Soo is only sorry it was him. She had thought he was a good person, but she was wrong. Mi Soo walks away and Kyung Soo finishes his confession. He just liked her. Because he liked her, he couldn’t tell her he was an evil lawyer. Awww. Min Jae calls up the consulting firm and learns that Na Young offered double the price to ensure the documents aren’t released. Min Jae gets angry. What game is Na Young playing? What is she trying so hard to hide? He then tells the company to name their price and fax the real documents over. Meanwhile, Mi Soo is washing dishes and recalling Kyung Soo’s confession about honestly wanting to help and being in pain as it was so hard. Is she forgiving him just a little? Kyung Soo returns home and Hae Ryung asks why he drank so much. Kyung Soo says nothing as to the reason and only hugs her. He’s sorry. What’s wrong? He only repeats he’s sorry. He then collapses on the bed and Hae Ryung wonders what problem is hurting him so much. Min Jae has finally got the documents and just as he is about to open them, Mi Soo drops something in the kitchen and he goes running out. What happened? It just slipped. Min Jae takes care of the mess so she can take care of her cut. Mi Soo goes back to their bedroom for the first aid kit where she notices Na Young’s information saying she came from the same orphanage. Well…that was quicker than I thought. Since Mi Soo will learn the truth, she has to know why Na Young would be willing to go after everything Mi Soo has. So…when will Mi Soo and Baek learn about one another? More and more parts of the web are coming undone while still other parts are getting tangled beyond repair. Kyung Soo, I don’t think I’ve felt sorrier for a man in a drama before! A man who has not lost a family, child, or whatever in this drama but is saddled with a neurotic, psychopath for a wife! Love your recaps, not that I’ve found them so I will be following! !